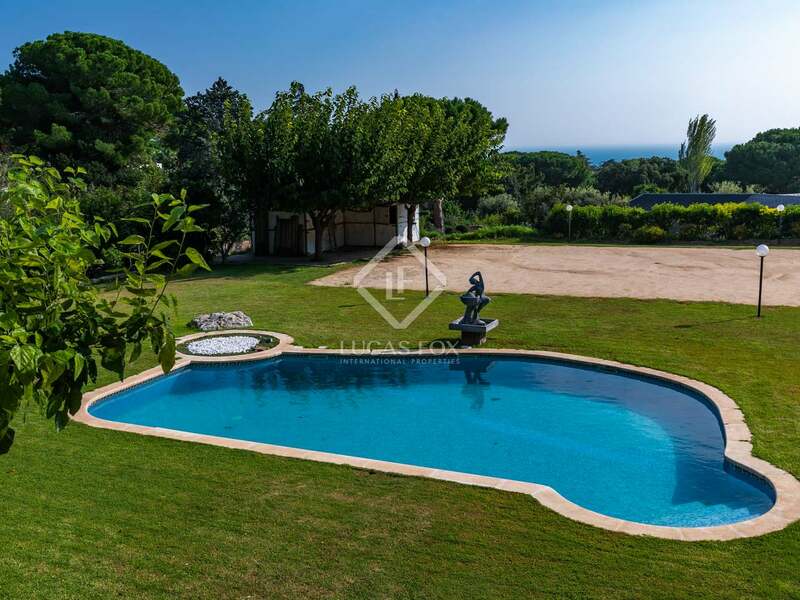 Magnificent house on a large plot with garden, pool and sea views in an exclusive neighbourhood in Sant Andreu de Llavaneres. 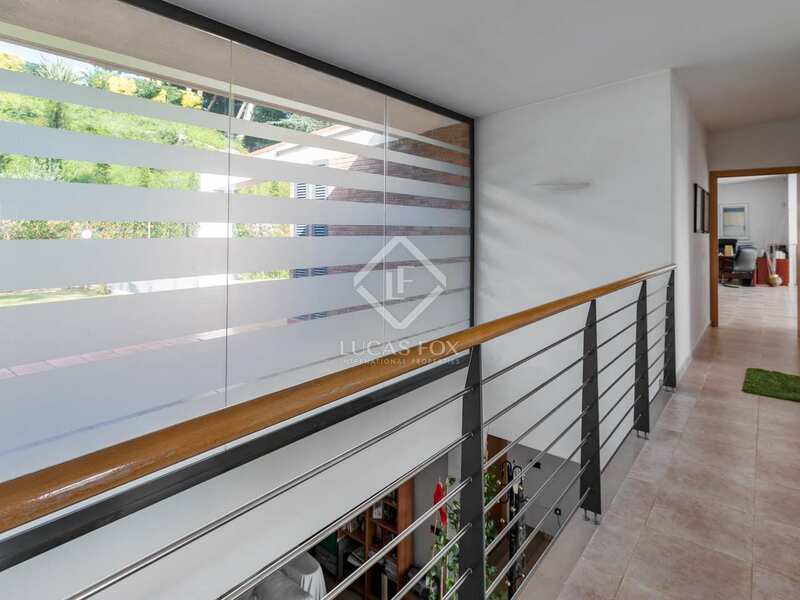 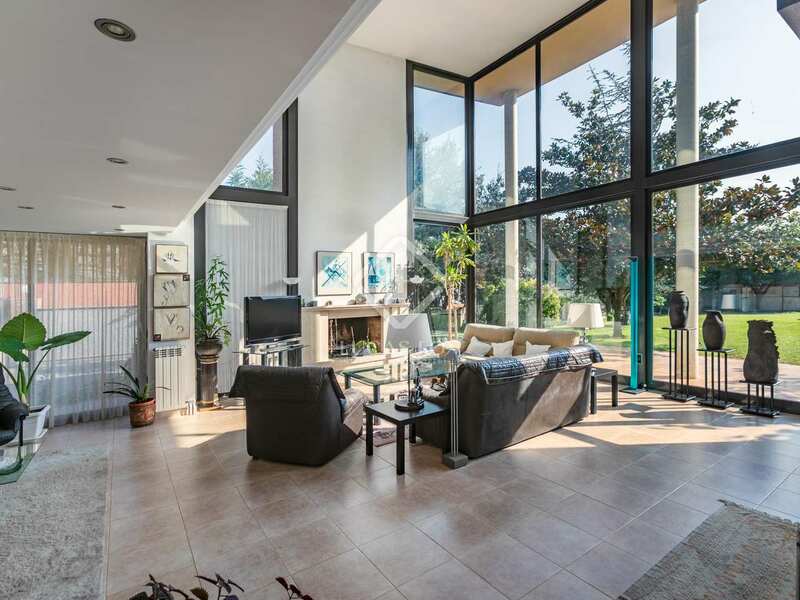 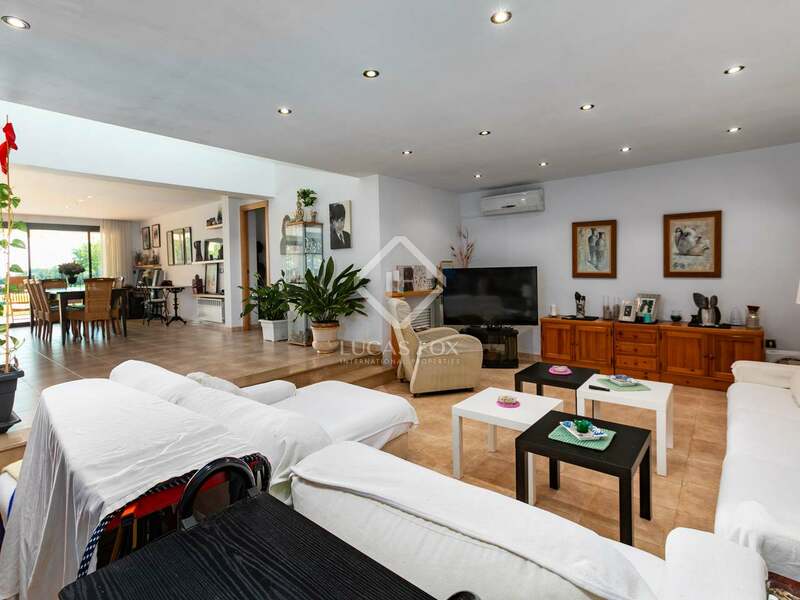 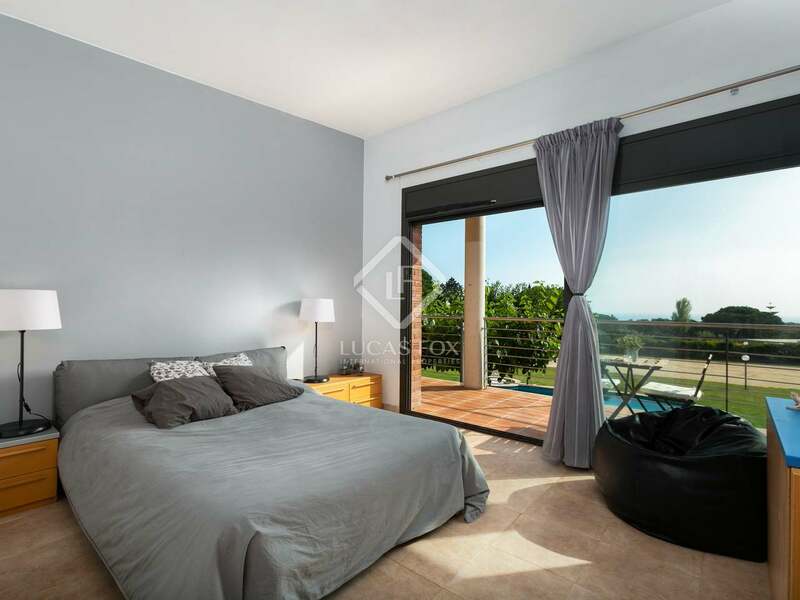 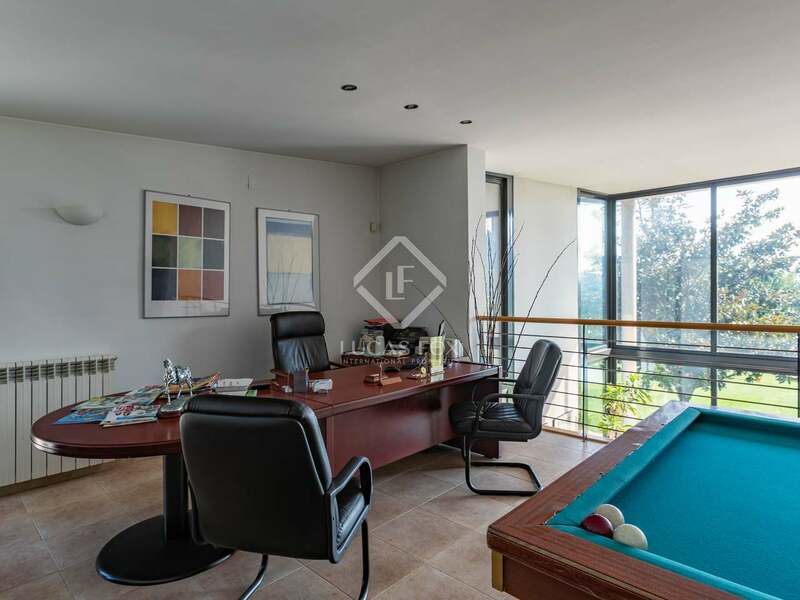 This spacious house with natural light is located in the exclusive Rocaferrera residential area, in Sant Andreu de Llavaneres, located on a flat plot of 3,100 m² that offers wonderful views. The space is distributed over 2 well planned floors. 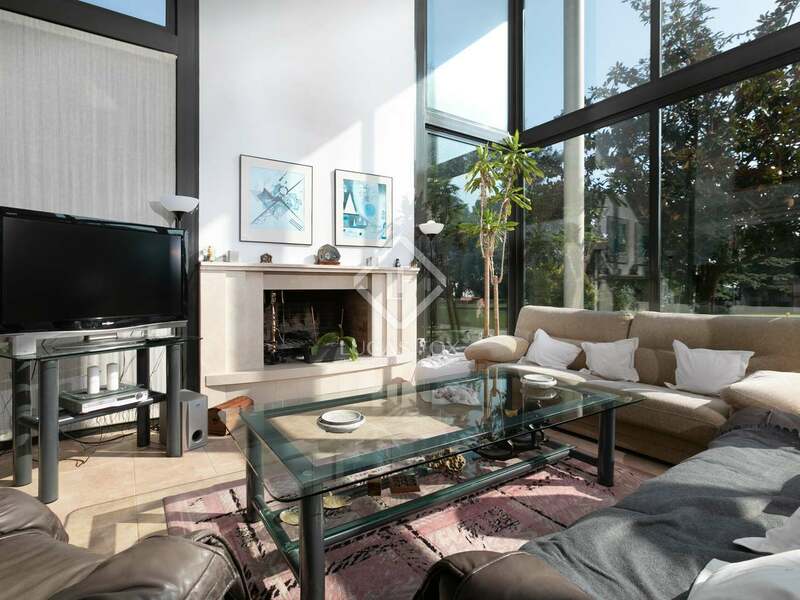 On the main floor, we find a spacious double height living room with a fireplace, which brings a cosy touch to the space. 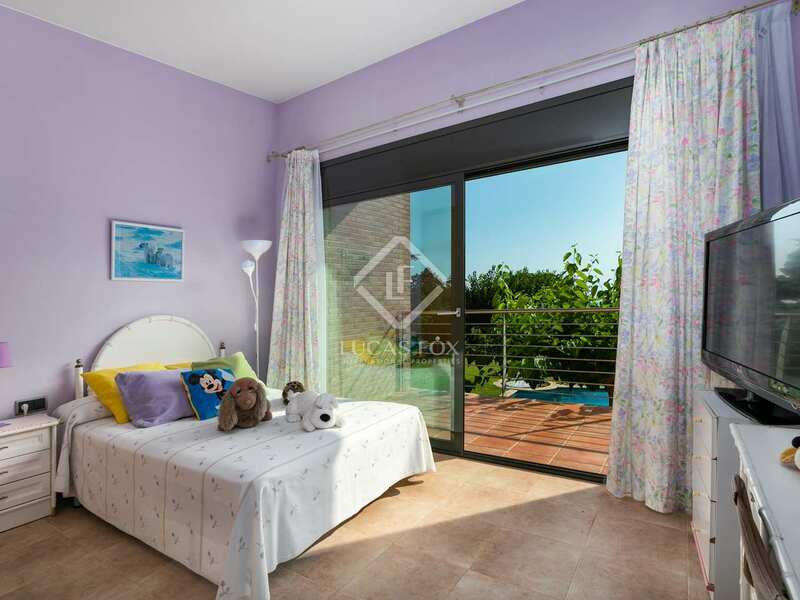 The room has large windows that flood it with natural light and access to the porch and a spectacular garden with swimming pool. 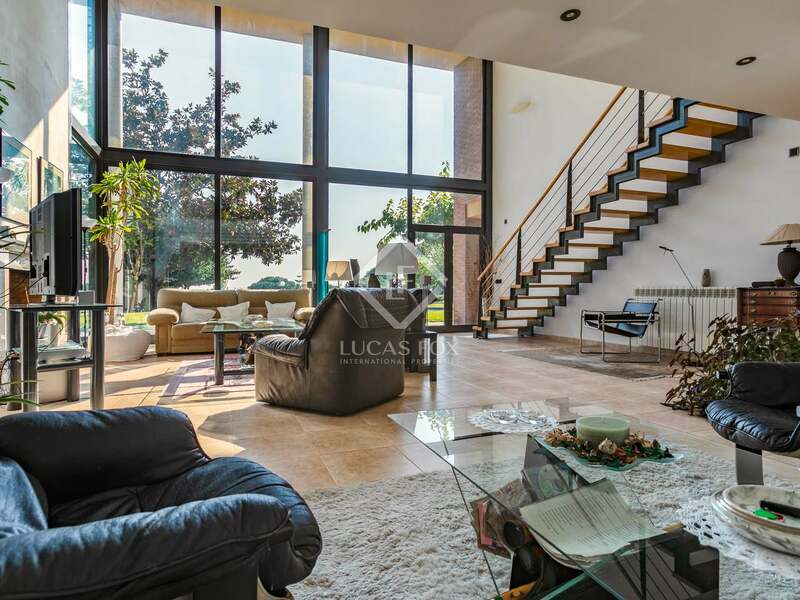 This floor also houses a kitchen with pantry and the dining room, which offers comfort and light, a television lounge and a magnificent bedroom with a jacuzzi in a private bathroom, dressing room and access to the garden. 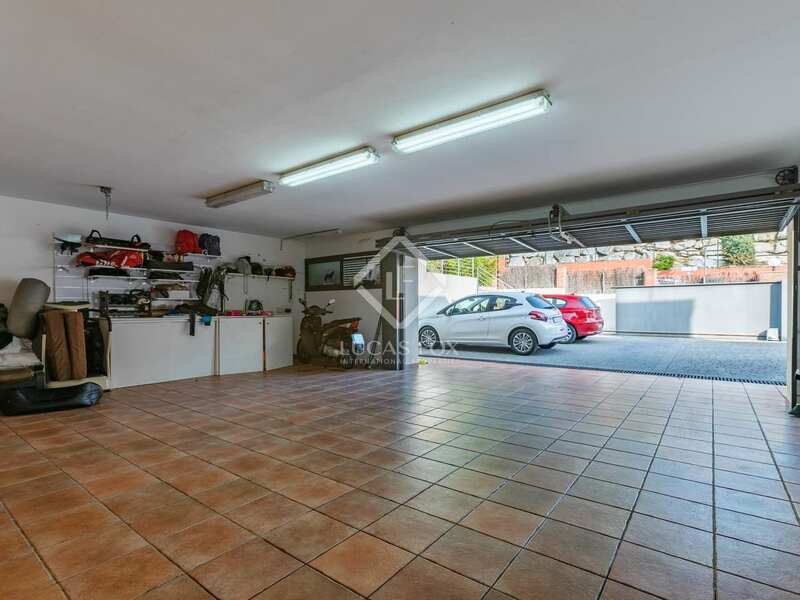 A toilet and a garage for 3 cars complete the floor. 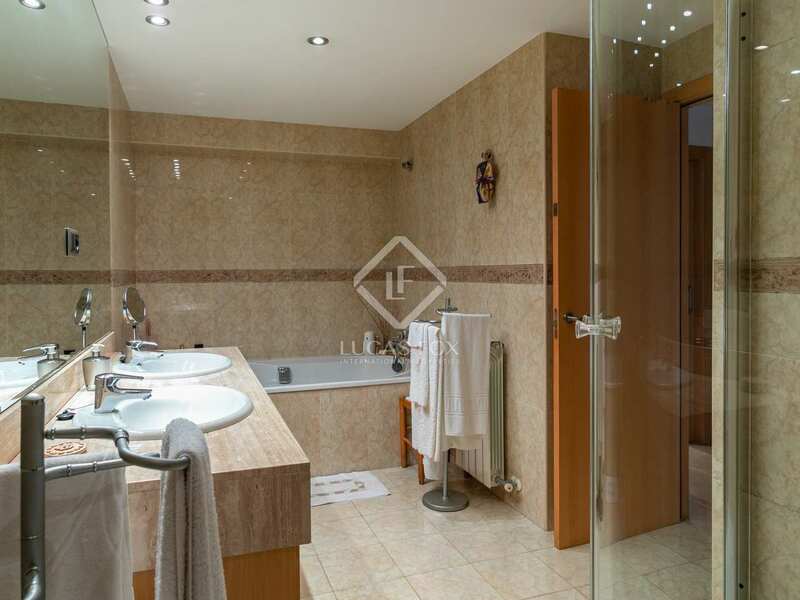 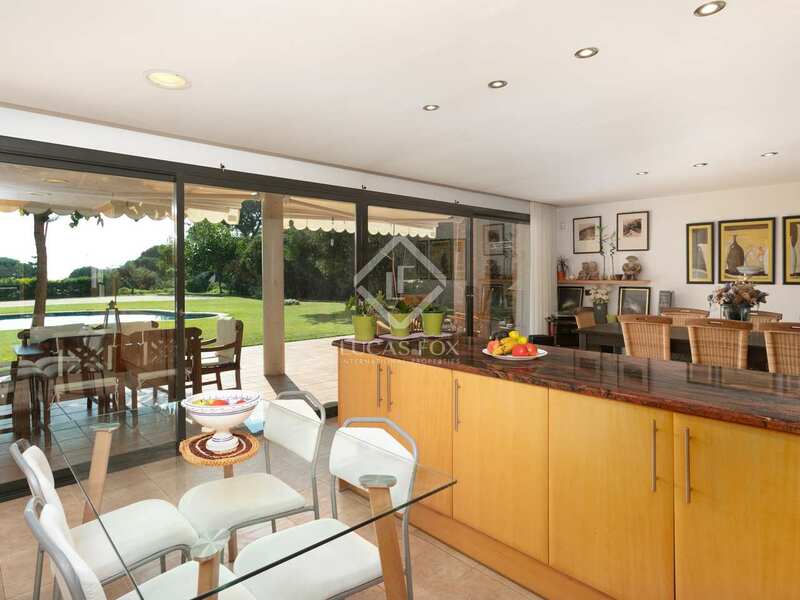 We access the upper floor, which offers a bright space that could be used as an office or games room open to the living room, 3 bedrooms with private bathrooms and access to a terrace with stunning sea and garden views and a double bedroom. 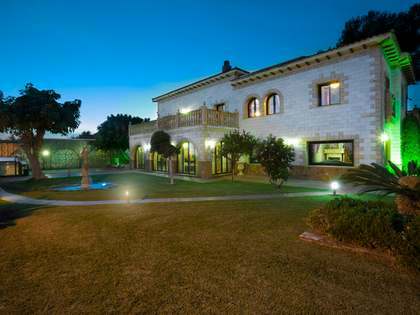 The house is equipped with air conditioning and heating to ensure your comfort throughout the year. 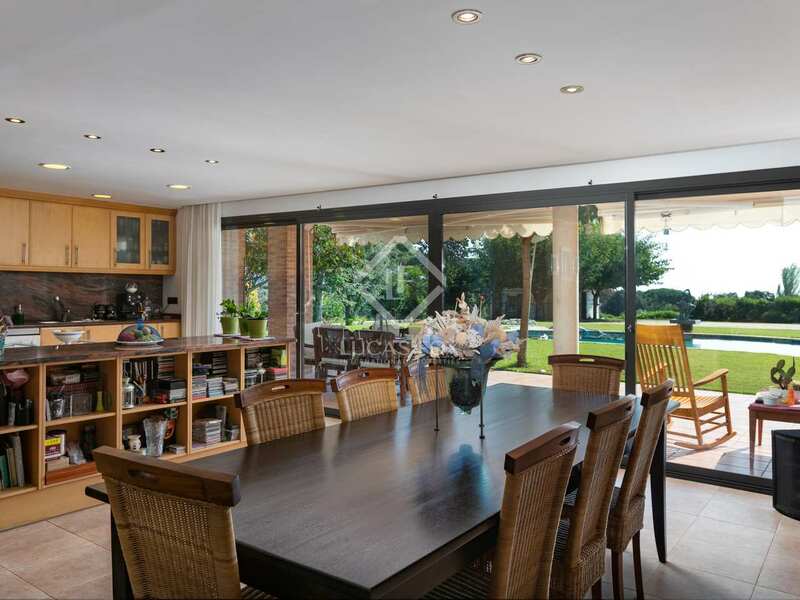 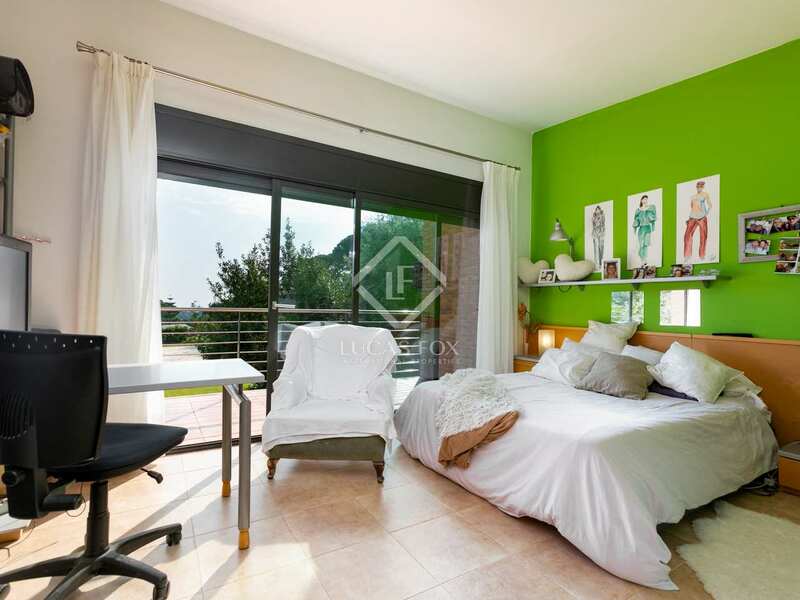 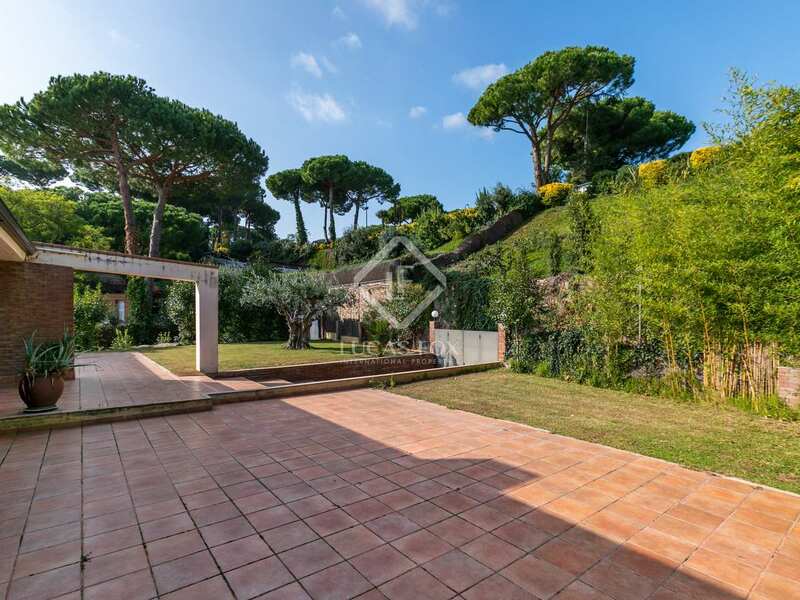 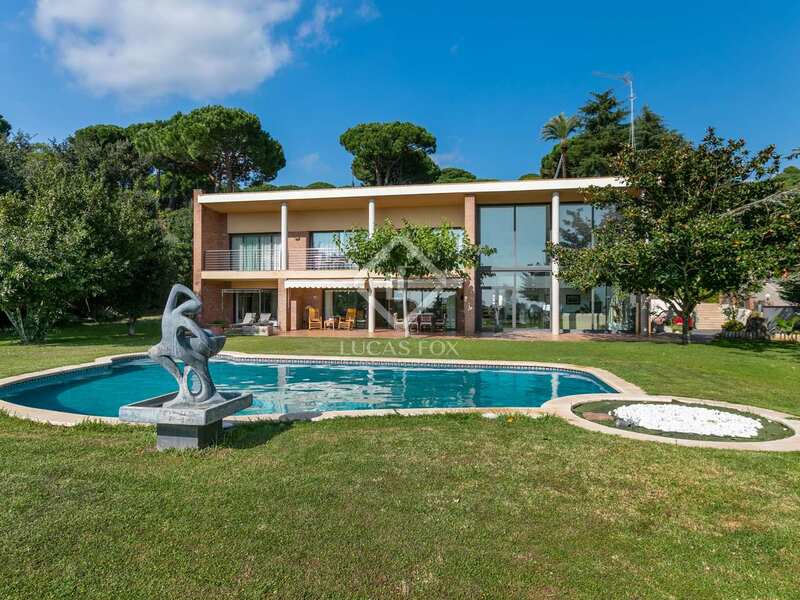 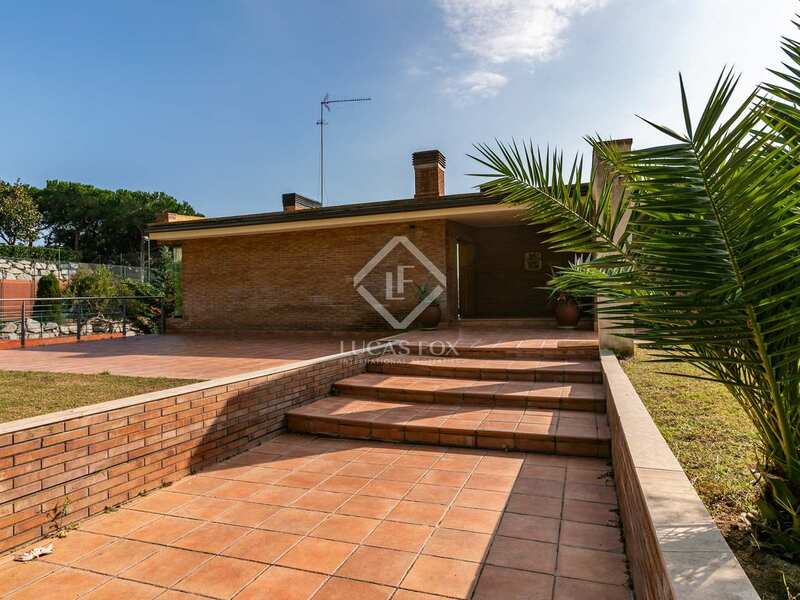 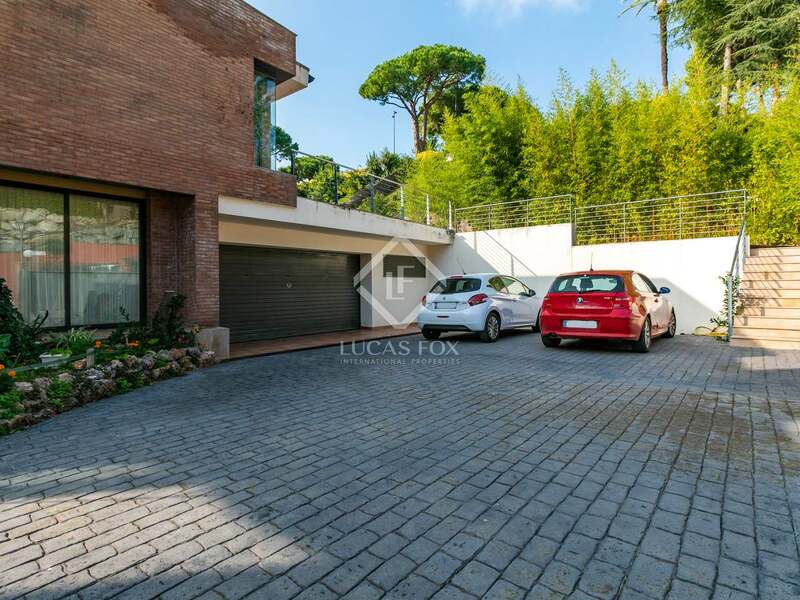 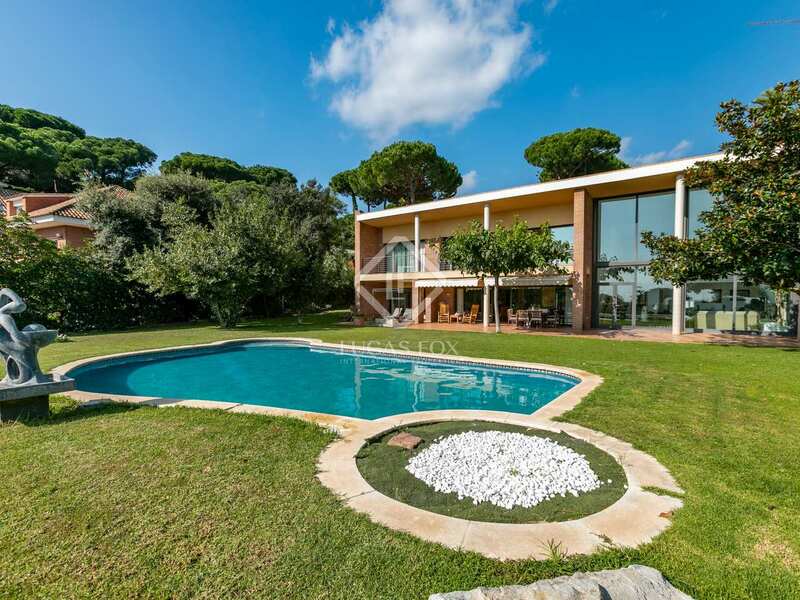 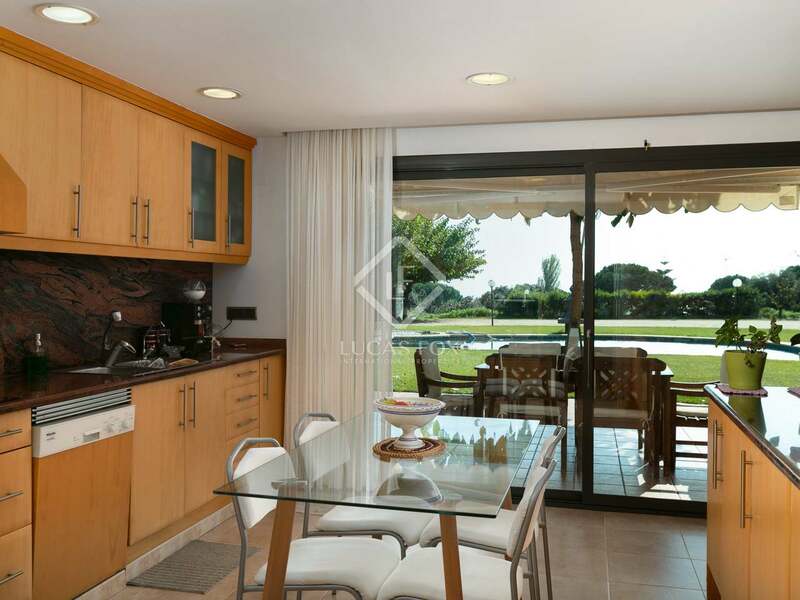 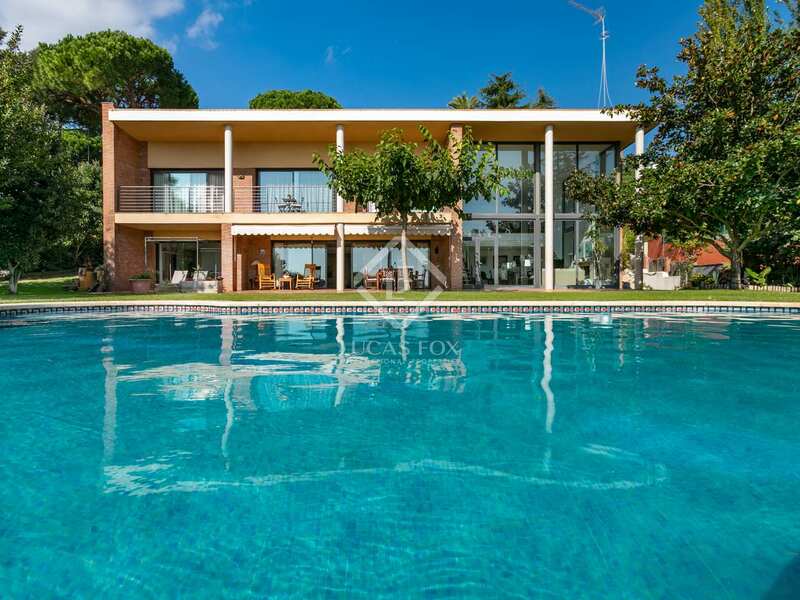 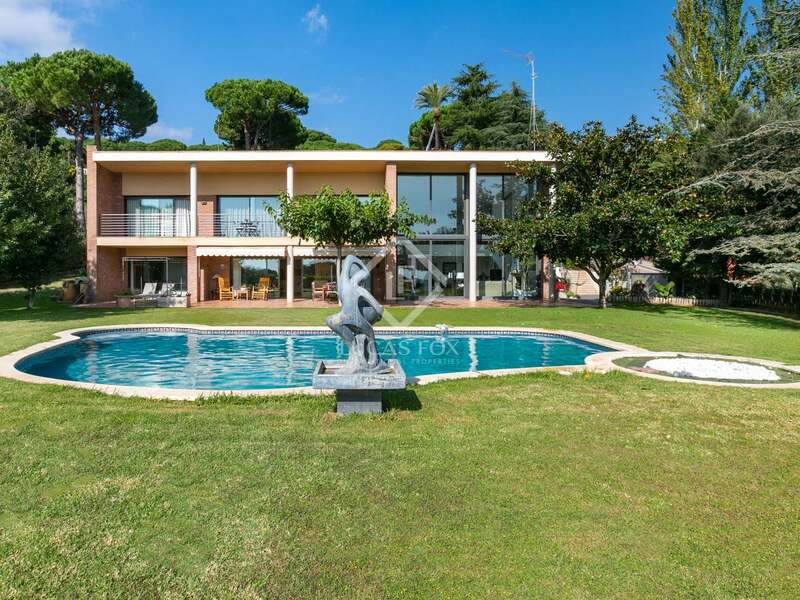 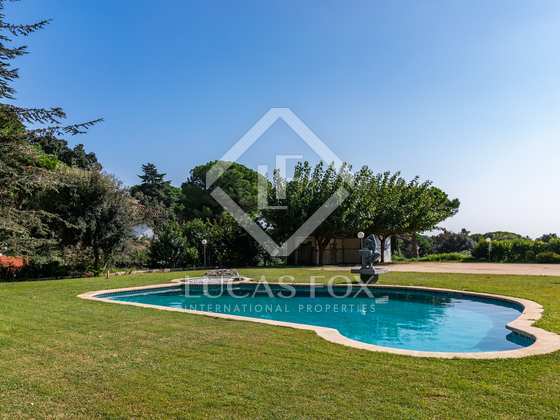 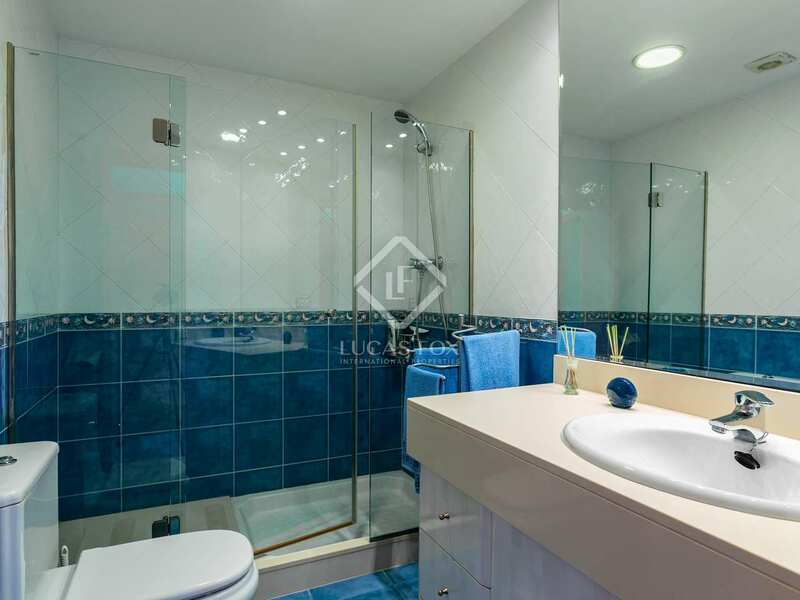 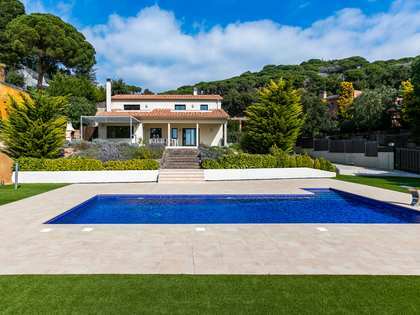 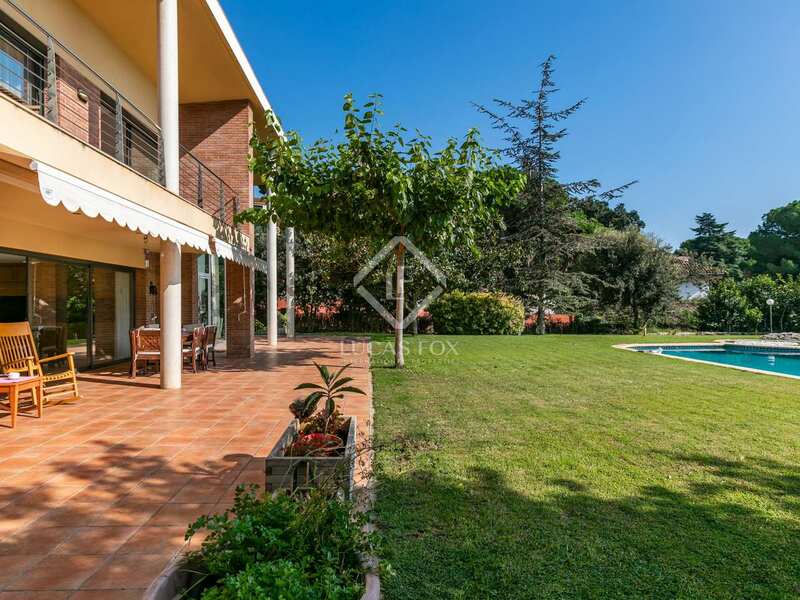 Contact us to visit this spacious house with garden and pool in the Maresme. 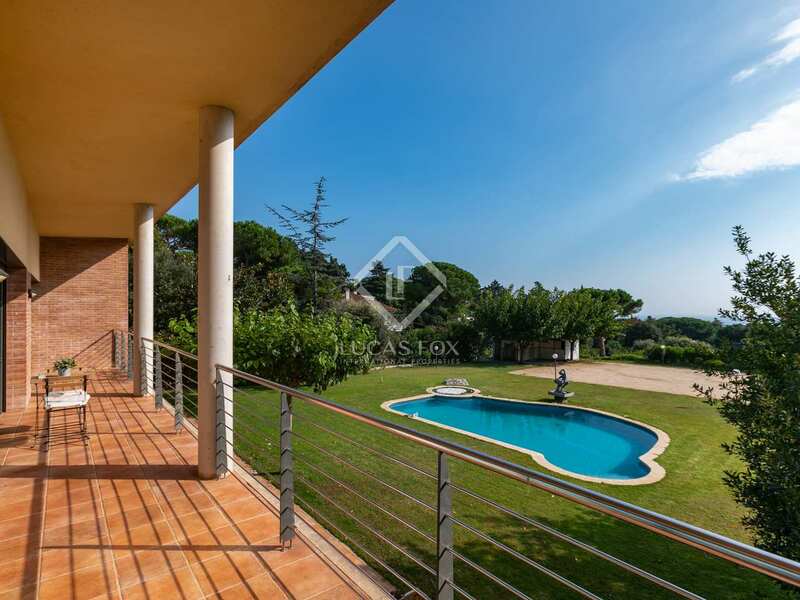 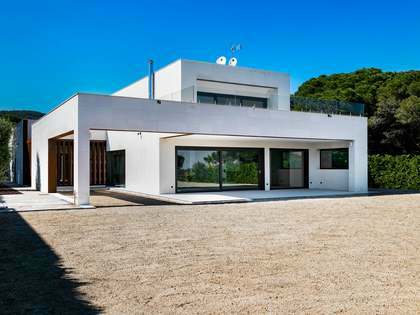 The house is located in an exclusive urbanization in Sant Andreu de Llavaneres, just 35 minutes from Barcelona. 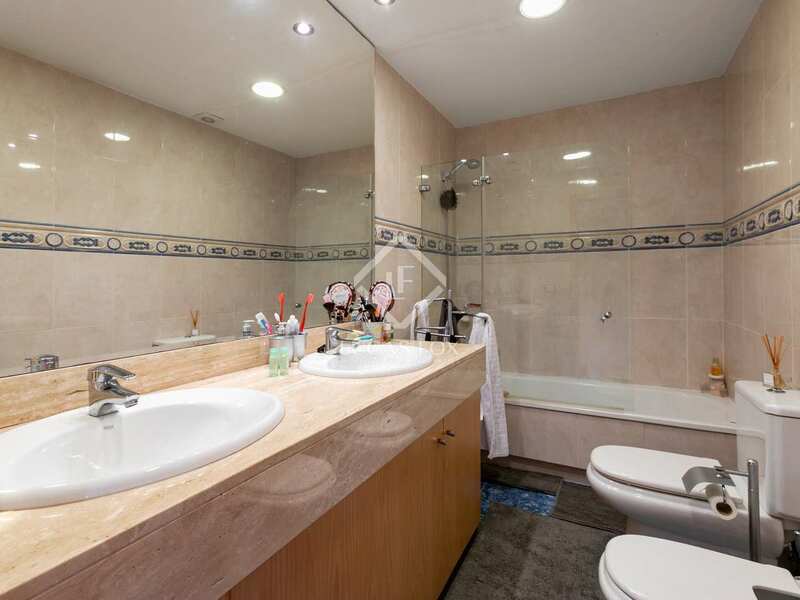 This town is well connected to the city by public transport or by car.